2017 was such a flurry of good games that you’d be forgiven if you can’t list every good game that came out that came out that year. But Gravity Rush 2 seemed to have been erased from the public conscience moments after it was released in January. It’s a real shame because Gravity Rush 2 is one of the most engrossing, surreal, and heartfelt games I’ve played in a while. If you’re not familiar with the Gravity Rush series (also called Gravity Daze in Japan) let me hit you with a little primer. They are open world games where the main gimmick is that you can control gravity. Kat, the main heroine of the series, can shift her own gravity to traverse the world or fight enemies. You don’t fly so much as you fall in the wrong direction. Kat’s combat abilities are mostly variations of dropping herself on foes or throwing objects at them. 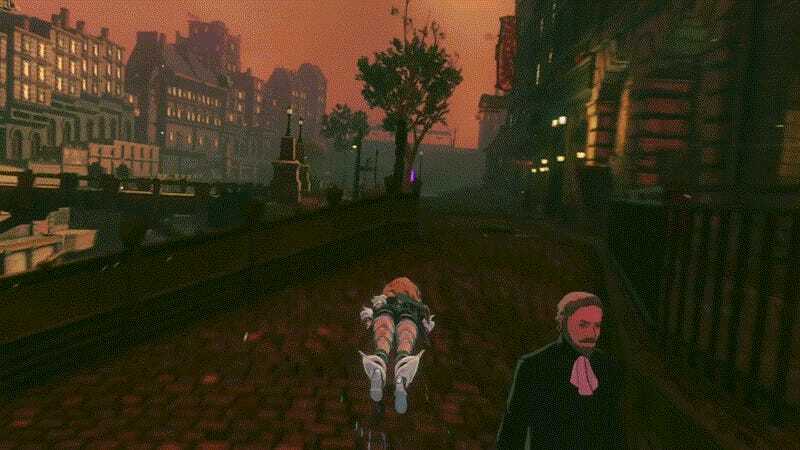 The original Gravity Rush suffered from a few problems. Most of those problems boiled down to the fact that it was produced for Sony’s doomed Playstation Vita system. Being saddled with the handheld’s hardware made the game feel more like a proof-of-concept for a larger, more ambitious game. The game’s touch and motion controls made combat and other actions more frustrating than they need to be. The combat itself could feel a bit disorienting due to the nature of constantly defying gravity as well as a less-than-stellar camera and screen size. The open word, while impressive for a handheld, felt empty of meaningful things to do. Thankfully the ambitions of the first game feel fully realized in Gravity Rush 2. You’re given larger and more distinct playgrounds to use Kat’s powers that look beautiful on an HD platform. There’s a lot more variety in missions, with huge story set pieces and sidequests that go beyond combat and traversal challenges. Kat’s combat remains mostly the same but with two different “styles” that modify her moves. Lunar Style makes Kat lighter and more floaty, allowing her to dart faster. Jupiter Style turns Kat into a bulldozer at the cost of being heavier and harder to control. When you get the right groove, it can be exhilarating to switch between styles while literally on the fly around the world. That said, the sequel does still keep some of the frustrations of the first game. While the impact of touch controls has been greatly minimized, there isn’t an option to do away with them completely. The camera seems to keep up better but still has problems in cramped or indoor quarters. Perhaps most aggravating consistency is that the gravity-defying combat is still hectic and hard to follow, especially with the focus on bigger set piece battles and enemies with specific style weaknesses. Like Kat’s ability to fly via falling, combat feels the best when you feel like you are simultaneously in control (choosing where you want to go who who you want to attack) while playing up the tension of what you can’t control (you are literally falling through the sky the whole time). During a lot of the bombastic segments that delicate balance gets thrown out of whack. But what I think holds Gravity Rush 2 together is the game’s sheer charisma. It’s so charming and strange that you can’t help but like it. Everything just melds into this dream-like puddle of surreal landscapes and broken laws of physics. A chunk of that charm comes from the game’s presentation. All spoken dialogue is in a made-up French-like language. Story missions begin with a comic and a sharp title card. You occasionally get an overly-serious narration from Kat herself. And the music! The music this game deserves it’s own article, but in short the soundtrack by Kohei Tanaka is next to perfect. Every piece from the mysterious Candle Zone, to the raucous Night Gale, to the beautiful A Cue aun Tu Oi is just spot on. It’s easily one of the best soundtracks of 2017. Gravity Rush 2 also shows it personality in its sidequests. One problem open world games have is with heavy repetition of its various side activities. 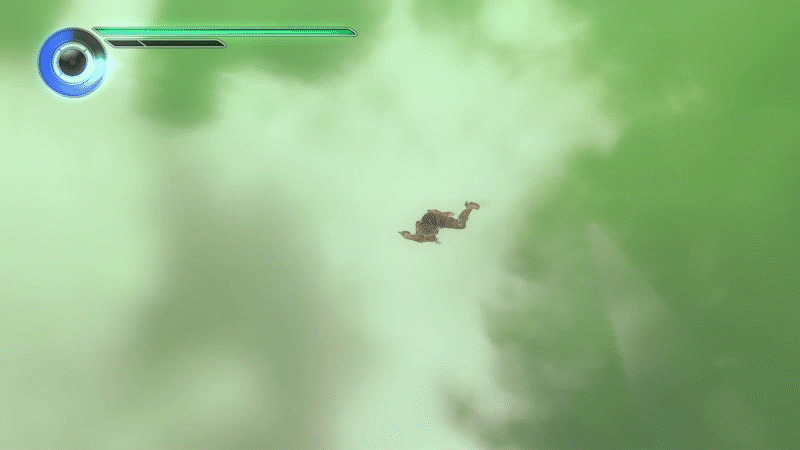 The first Gravity Rush also suffered from this in the form of challenge missions. Gravity Rush 2 keeps the challenge missions but also supplements them with side missions. What’s great about these missions is that they’re story-driven and can totally change genre based on who Kat is helping. For instance, Chaz the detective will ask you to take his intense police training course. A scummy Hollywood-type will cast you as a stunt actor or bodyguard for a more popular idol. You can briefly join a demon-summoning cult at a school. Each mission has its own storyline and the game isn’t afraid to mix up the formula to fit whatever is going on at the time, even if it’s a new minigame or mechanic that you’ll never see again. And if you do see a similar mission pop up again, there’s usually twist to keep you on your toes. For instance, a hunt for an eccentric author quickly devolves into a paranoid Invasion of the Body Snatchers scenario the second time around. Running around and doing these missions is what really sold Kat as a character. Kat’s steadfast optimism and willingness to help other people is so much more palpable when you’re stopping to take on random requests. You’re no longer doing missions because it’s something to do or you want to progress the story. You’re playing because you want to know more about these characters, solve their problems, or just do something nice for the cities under your protection. In one mission you stop to help a curmudgeonly old man by taking him to places that remind him of his life. It ends with Kat singing a song in the music district where the man and his now-deceased wife first met. You get the sense that Kat really cares about people whether that means fighting a corrupt government, slaying a monster made up of entire cities, or just helping a dog find her favorite toy. Also worth noting is the Gravity Rush 2 has completely free DLC. Mostly it’s crossover costumes with games like Nier: Automata and Phantasy Star Online 2. But the story DLC focusing on Kat’s friend/rival Raven is some very good Gravity Rush. It simultaneously explores some of the cosmology and workings of Gravity Rush’s weird world while also filling in more of the blanks in Raven’s backstory with real emotional stakes and payoff. In an environment season passes and loot boxes, You would think free single-player DLC for a AAA game would have garnered more attention. While much of the world may have forgotten about Gravity Rush 2, a dedicated fan base continues to play. When Sony announced it was shutting down the game’s online treasure hunts and social features, the community was able to convince them to keep the servers on for another six months. The community is still active helping people collect all the online items while gearing up to fight the server shutdown again in July. Gravity Rush 2 draws such a dedicated fanbase because it really is a special game. It’s a dizzying display of action, art, and pure heart. 2017 was year chock full of great games. Gravity Rush 2 was one of those games but it is still struggling for that recognition. This article was an elaborite attempt by Zachary Long to get more people to play Gravity Rush 2 so that they get his references to the game. You can see more Gravity Rush jokes over on Twitter by following @invadingduck. Trust me. They’re gold. I also wrote a spoiler-filled guide to the first game if you want to skip it and get right to Gravity Rush 2.